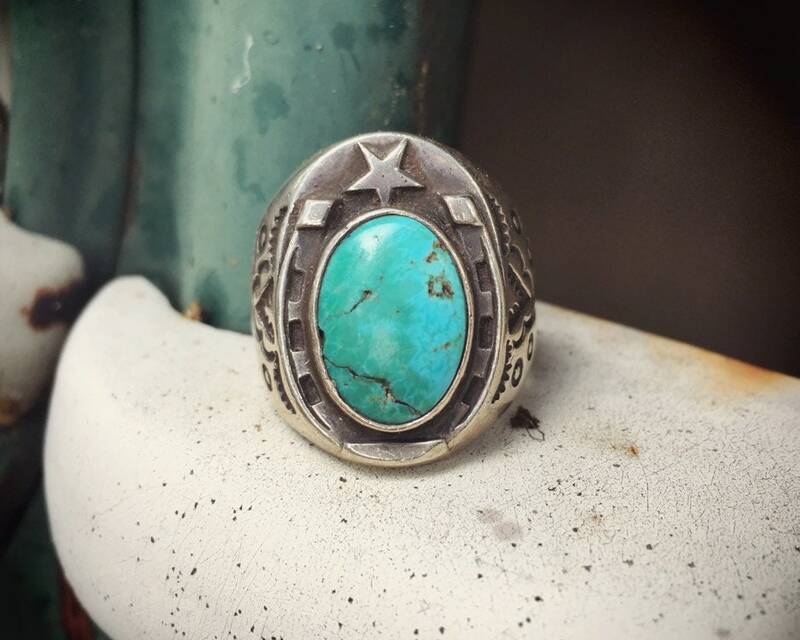 This older Men's Ring features the lucky horseshoe, and being that I grew up with in a family of gamblers and my grandpa was foreman of a ranch in Cimarron, NM, and my uncle owned racehorses, my childhood was filled with plenty of horses and summers spent at the racetrack. 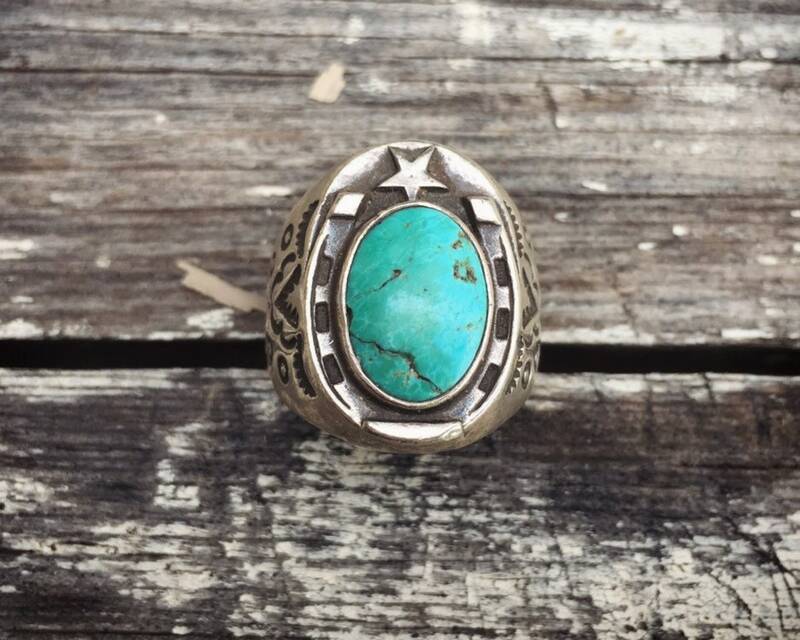 So this ring for me was about nostalgia of a time when your grandpa and all the men wore heavy turquoise rings and drank whiskey and beer and bet on horses. 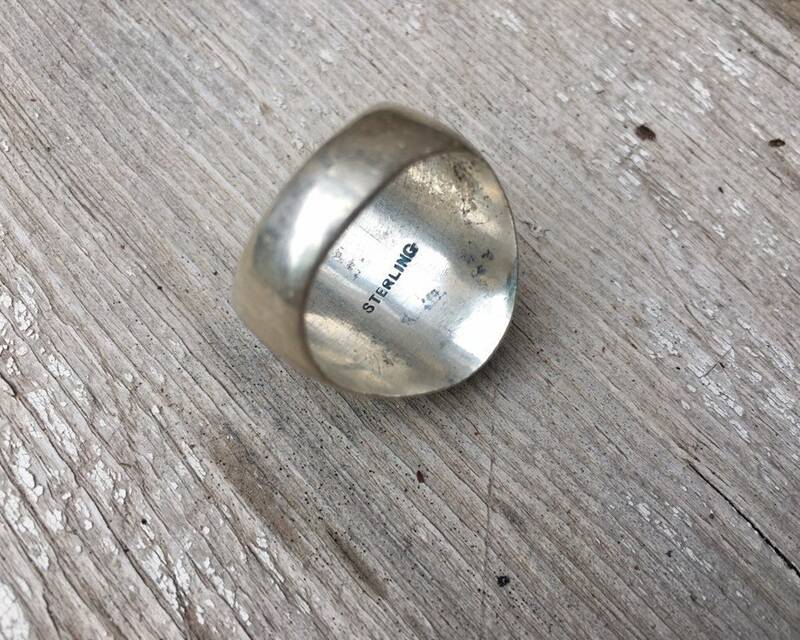 The ring is at least from the era of my childhood, the 1960s to 70s, and it does have some wear. For one thing there is a large crack at the surface, although it's an old crack and is not compromising the turquoise. It could have been from a hit to the ring, but more than likely there was a some matrix or webbing at some point along the fault line, causing a bump to fracture the natural stone. 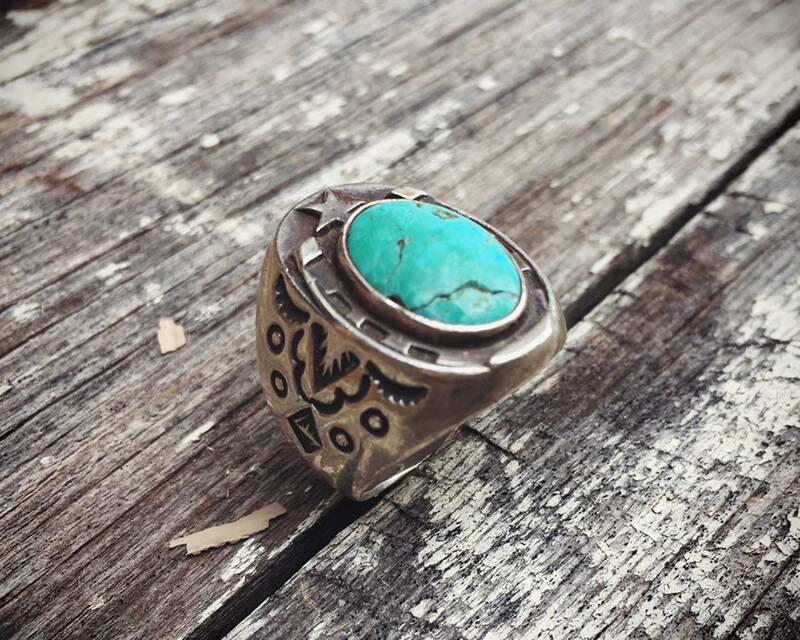 We know it's been there for a long time as even the crack has wear, edges softened much like the edges of the turquoise and silver. 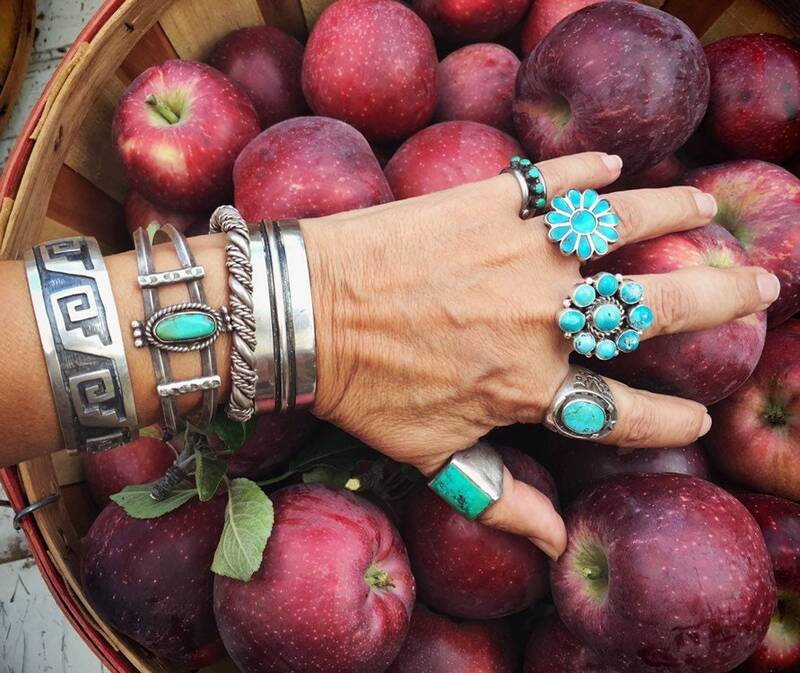 This was the kind of ring that would have been worn daily, and we know that from the thinning of the edges of the band and the small scratches in the silver. 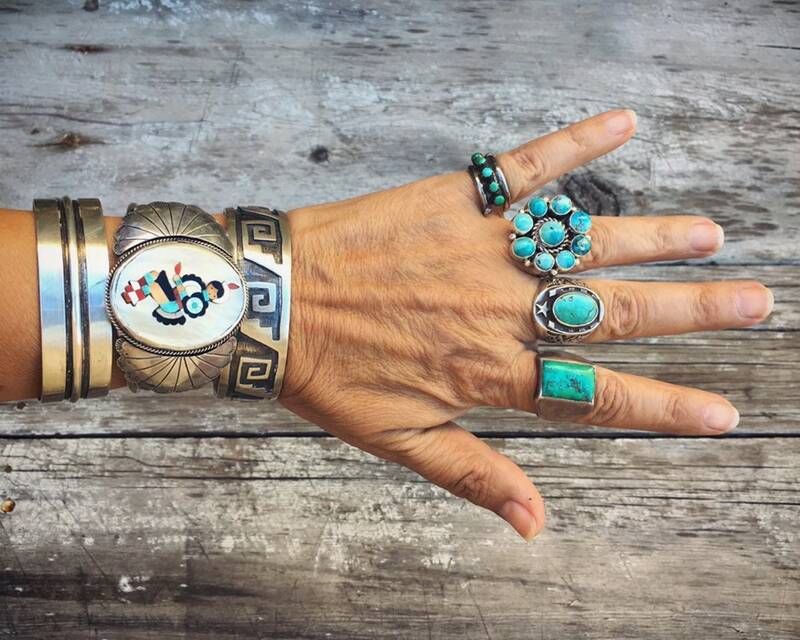 The turquoise is a beautiful blue green color, and the band has traditnonal hand stamping on the side. 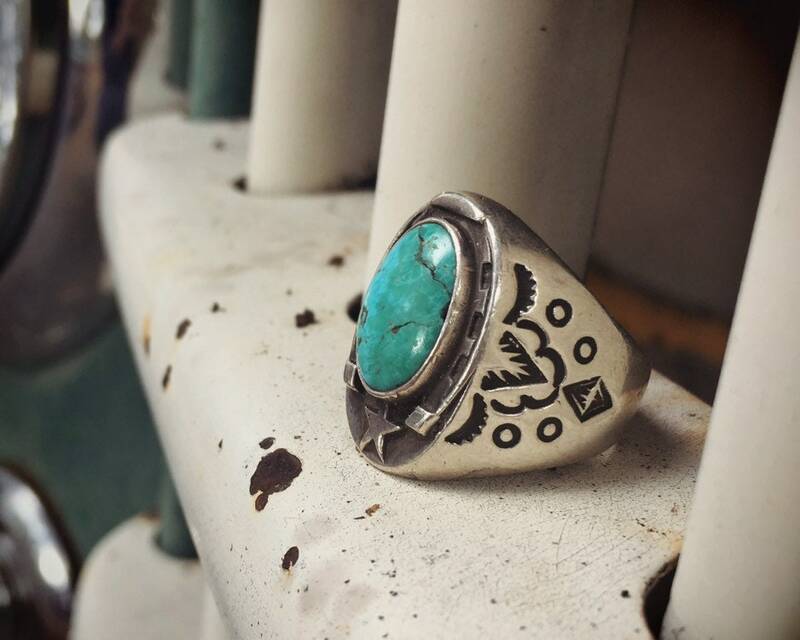 Carries a STERLING stamp on the interior although no artist hallmark; we believe it is Navajo. 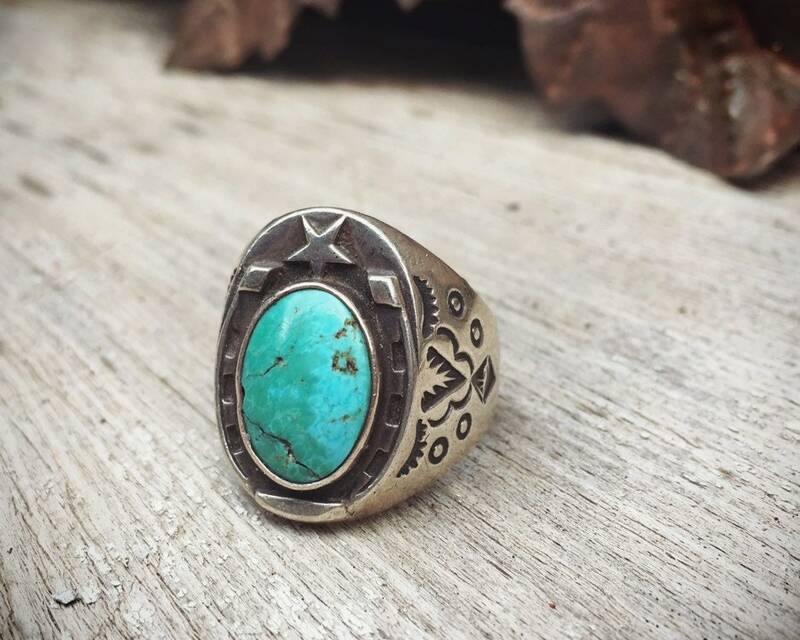 The ring is Size 10, and the ring face is 1" long by 5/8" wide with the turquoise closer to 5/8" long by just under 1/2" wide. 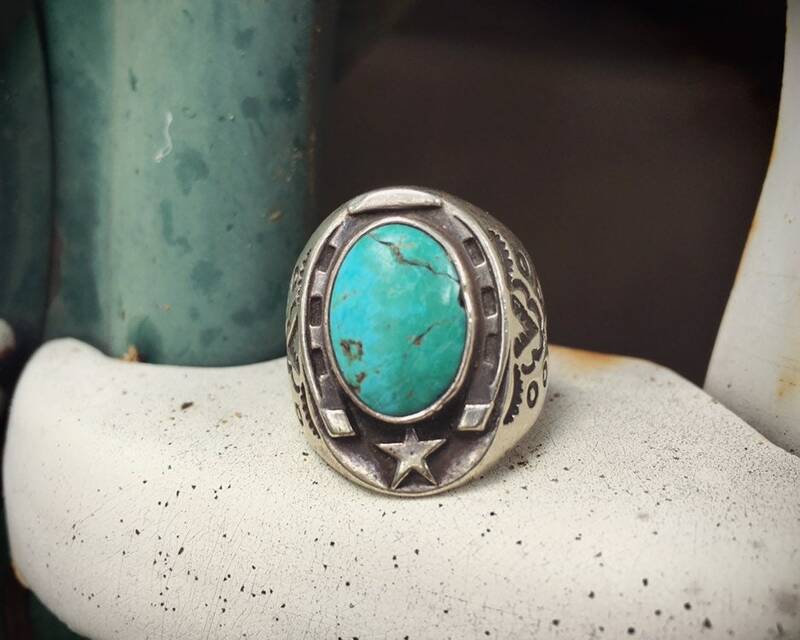 Again, the silver has thinned from wear and the natural turquoise has an older surface crack, but the ring is stable and ready to be worn by the next generation.